How to remove sources and related posts from the social wall? Select the source that you want to remove and click "Delete". 3. Walls.io gives you the option to remove all existing posts that were fetched by this source. 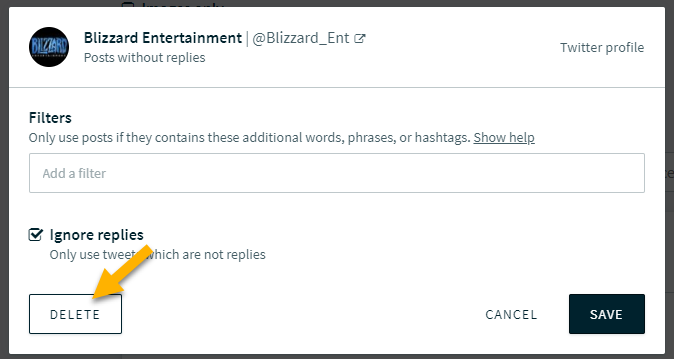 If you want to do that, just click "Remove Posts".